Register for the Mason District Running Festival today! Welcome to the fourth annual Mason District Running Festival! We invite you to beautiful Mason District Park to share the trails, meet people, raise funds for local non-profit organization Shelter House, (a community-based non-profit organization serving homeless families and victims of domestic violence by providing crisis intervention, safe housing and supportive services. ), maybe create new friendships, discover ways to support each other, and, finally, to have some fun. Rise, Run and Shine Running Festival is not a single race but an all-day running celebration, promoting healthy living and solidarity. The event starts at 8 am and last till 2 pm. It offers 5K, 10K, 6-hour and 3-hour run, 1/2 marathon, and Kids Fun Run for the youngest. 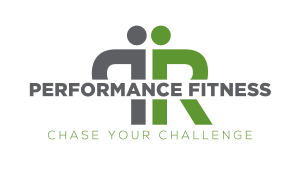 Besides running you will also be able to stretch and do some guided exercises under the guidance of our friends at PR Performance Fitness. There will also be couple of raffle drawings (at 11 am and 2 pm, and potentially 10 am) with wonderful prizes, donated by local businesses. Read more about raffles below. 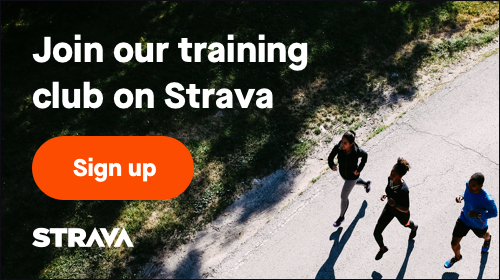 By offering such variety of options we hope to appeal to those still on a couch as well as complete novice runners but also to seasoned long distance champions and everyone in between; we’d like to see young and less young families, retirees, school kids and their teachers, walkers and ultra marathoners. 1. Check in: 30 minutes before a start of a run for all events. 2. Registration: We strongly encourage participants to register online, where registration will be opened till Thursday, 9/26, 08:00 pm. There will be NO race day registration. Each runner/walker must register and sign a waiver. 5. Course Surface: The course is over 85% shaded and 99% on trails, fire or gravel roads, or grass, which means lots of roots, rocks, leaves etc. There are couple of bridge crossings and a couple stream crossings. Runners may need to cross/jump over tree logs and climb some steep hills (approximately 210 feet of elevation gain). Start and finish for all distances will be the same - on the grassy field on the right side from the upper parking lot near the tennis courts. 6. Aid Station: there will be one aid station, located at the start/finish area and will offer water, Tailwind, and some snacks (bananas, PB&Js, pretzels, chocolates, bars, and similar). Cups may be available but we encourage you to bring your own bottle to help reduce waste. 7. Timing: No chips or any of that modern stuff. We will do it the old fashion way (manually) with help of modern technology. So, it certainly won’t be to a one hundredth of a second correct, heck, it may even not be to a second correct, but in general, you will have pretty good idea about your run time. 8. Parking: will be available on the upper level near tennis courts (approximately 50 parking spots). If there is no space at this parking lot, additional is available at the lower level near the soccer fields, which will require participants to walk to the start area (< 1/4 mile). All participants are asked to respect all park rules and regulations including parking. 9. Be Green: in an effort to reduce amount of trash we encourage participants to bring their own water bottles or reusable cups. 10. Refunds: 100% if a request is made by September 1, 50% if a request is made by September 15, after that day NO refunds will be provided. 11. Food: There will be coffee in the morning and some snacks (bananas, PB&Js, chips, chocolates, bars) available during the entire event and some more substantial (also vegan) dishes at the end of the 3-hour run (11 am) and 6-hour run (2 pm). 12. Restrooms: There are restrooms (with concrete walls and all, not port-a-potty) with sinks but NO showers just 50 steps away from the start/finish line. There are also water fountains there. Each restroom may have only couple of stalls - plan accordingly! Another set of restrooms is near the soccer/basketball field, approximately 0.3 miles from the Start/Finish area. 13. Driving Directions: The park is called Mason District Park. The address is: 6621 Columbia Pike, Annandale, VA US 22003. Once you turn from Columbia Pike into the park you will have immediate split: turn RIGHT and drive up the hill and after 1/8 of a mile there is a parking area with approximately 50-60 spots. From parking area you will see start/finish area on your right. 14. Dogs: This is a dog friendly park. On the other side of the park is literally a fenced dog park but even on trails it is fine to walk/run with dogs. However, dogs MUST be on a leash. So, feel free to bring your dog(s) with you or even run a race with them. 15. Kids: The little ones are welcome to join you. If you want them to officially participate that is fine as long as you sign a waiver on their behalf. If they join you unofficially that’s perfectly fine too. 16. Strollers: Sorry, but NO! The course is NOT stroller friendly. Too many roots, rocks, tree trunks, loose gravel, steep hills. Simply not safe. Safety first. 17. We discourage usage of headphones. Also, pay attention if using phone to take photos. Trails are narrow and it gets really crowded at certain point (between 9 and 10 especially, when approximately 130 people share the trails), thus focusing on anything else but trails can be hazardous. With other words - enjoy the scenery, it is charming- and put those phones away for an hour or so. As it has been practice in the past we want to help again a local non-profit organization with a donation and that is one of the reason this event is taking place. We have partnered again with Shelter House and 100% of your donations and portion of event's total revenue will benefit the organization and the clients they serve. You can donate by visiting donation page. You are encouraged to visit their website and learn more about their work and opportunities to get involved. If you have a business and would like to become the event sponsor, please let us know at info@getUpAndGoCoaching.com. Each participant will receive one free raffle ticket. Kids Fun Run yields NO tickets as each participant will receive their own prize. 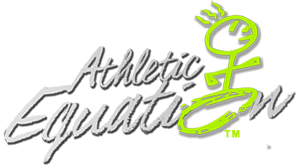 Additional run information can be found at http://www.GetUpAndGoCoaching.com. At Get Up And Go Coaching we love running, organizing events like this one, and assisting people achieving their wellness goals. 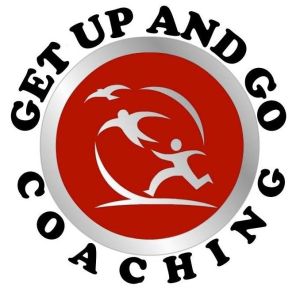 More about us at: www.GetUpAndGoCoaching.com. This is NOT a typical 5K course that you may encounter at most urban races in our area. Almost the entire course (99%) is on gravel roads and single trails. It offers challenging 200+ feet of elevation gain, lots of roots, rocks, leaves, fallen trees, and stream crossings etc. There is also a lot of wildlife: from deer and foxes, encounter with which may not be so probable during the Festival hours, to snakes and ticks, which won't necessarily hide, depending on the weather and temperature. Each participant (excluding Kids Fun Run, they will get their own awards) will receive a swag (details later). No show, no giveaway - sorry, we cannot mail them.